The item Soul & spirit, by Edgar Cayce, (electronic resource) represents a specific, individual, material embodiment of a distinct intellectual or artistic creation found in Austin Public Library. 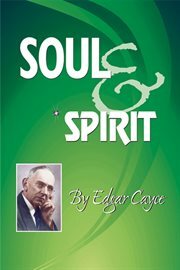 Learn Edgar Cayce's clear and profound distinction between the soul and the spirit. Spirit is the Life Force within; the soul is the developing True Self. Learn why the difference matters!